Home » Uncategorized » Sick transit, Gloria. Like the Fargo-Moorhead community, Agincourt’s urban transit system dates from the first decade of the 20th century. The Northwest Iowa Traction Co. became a stock company in late 1908—local investors who saw the financial advantage in linking their town and hinterland with both central and far northwestern Iowa. The NITC line set out from Fort Dodge in a northwesterly direction, reaching Agincourt in about November 1909 and pushing its right-of-way farther toward Sioux City, until site acquisition ran into financial problems just beyond Fahnstock and the lake country. They struggled to achieve Storm Lake as an ultimate terminal point. The power generation required by an interurban system was at peak on weekdays. Saturdays required much less, which, given the capital investment, required ideas to enhance ridership on such days. In larger metropolitan areas, this often involved the creation of an amusement park, whose roller coasters, carousels and other rides consumed excess power, in addition to riders to and from the park. Cemeteries were another weekend destination, particularly on Sundays and holidays like Memorial Day. Agincourt was unlikely to have either of those spin-offs. Two others were likely, however. First, there was the weekend and holiday traffic to the lake district of Sturm und Drang (on which I’m still working). And there was also the adjunct system of a trolley line for Agincourt itself: ATL, or Agincourt Traction and Light. 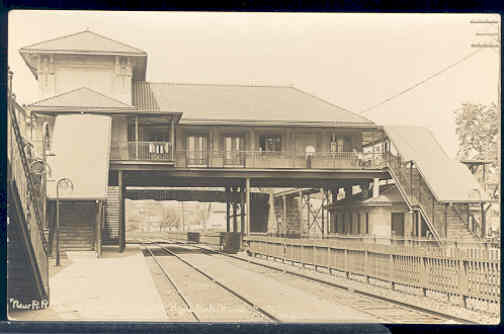 In the 2007 exhibit there was a spectacular station built to serve the major stop on ATL’s figure-eight route (other than the depot itself at South Broad and Louisa), Agincourt’s early concentration of manufacturing at a neighborhood called Industry. I wonder if anyone would like to take that on again for the next exhibit? By agincourtiowa in Uncategorized on Sunday/07/September/2014 .